I am a teacher of English as a Foreign Language in Sibiu, Romania. 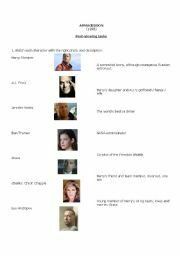 This is a worksheet I use after watching the film "I, Robot" (2004). 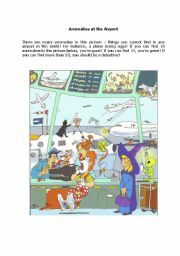 Find the many anomalies in this picture – things you cannot find in any airport in the world! 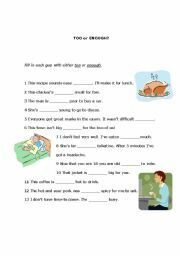 A Fill-in-the-gaps exercise (with either TOO or ENOUGH). 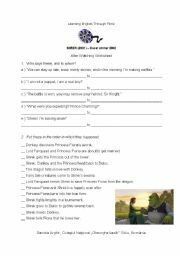 This is a worksheet to be used after watching Shrek 1. 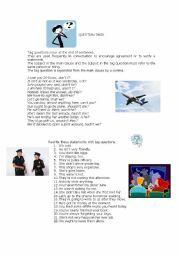 This is a worksheet to be used after watching "Forrest Gump" (1994). 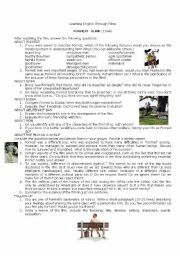 A worksheet made using EclipseCrossword and original drawings of my students aged 12 - children teach children! 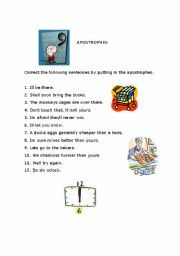 This is a worksheet for the reinforcement of the use of apostrophes. 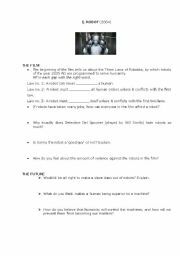 A worksheet I use with my students after watching the film "Armageddon" (1998).